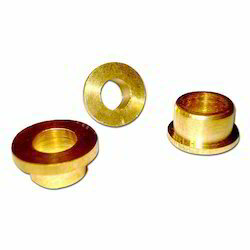 Leading Exporter of brass bushings from Jamnagar. We offer a comprehensive range of Brass Bushings to our valuable customers. These are widely used in automotive and other industries. Premium quality brass and allied materials coupled with advanced technology have been utilized in the manufacture of these. These provide long term functionality and hassle free service. We are adept at readily processing orders requiring customization.